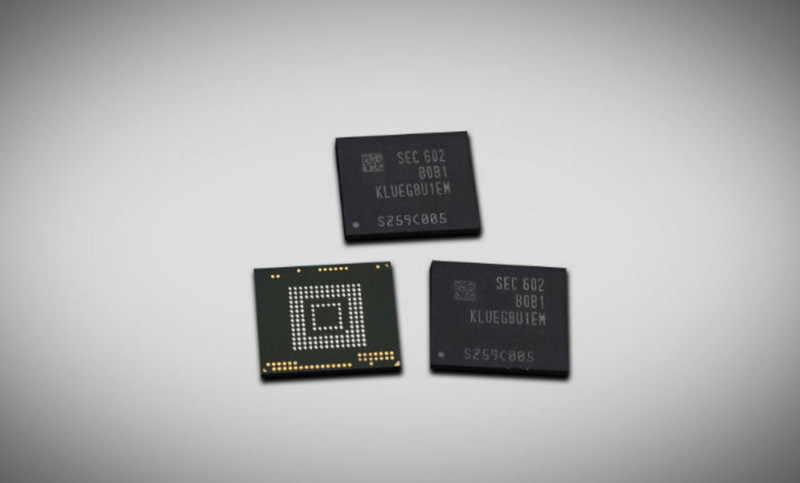 This afternoon, Samsung unveiled the mobile industry’s first 256GB UFS 2.0 internal storage chip for high-end devices, including smartphones. That’s awesome news…except for the fact that it comes three days after the Galaxy S7 and Galaxy S7 Edge were announced, both of which do not include this new 256GB chip. I don’t want to kill the announcement with my confusion over the timing, so let’s talk about what this new chip means. Last year, around the time that Samsung announced the Galaxy S6, they also announced that they would be moving to UFS 2.0 storage solutions because it was not only the “future” of mobile storage, it was faster than the standard eMMC storage that most smartphones had been using for years. UFS 2.0 storage is faster at both reading and writing to storage, and can read and write at the same time. At the time of the Galaxy S6 unveiling, Samsung announced that it had created the industry’s first 128GB UFS 2.0 chip, which of course, was then made available in a Galaxy S6 variant. With this new 256GB UFS 2.0 chip, Samsung says that it is capable of handling read speeds of up to 850MB/s and write speeds of up to 260MB/s. Those read speeds are “nearly twice as fast” as your typical solid state drive (SSD) used in PCs and the write speeds are three times as fast as high-end microSD cards. In just a year since announcing their 128GB UFS 2.0 chip, Samsung says that they have doubled the capacity and speed. So why not include this chip in the Galaxy S7? Honestly, I don’t know. Samsung seems to have limited storage in this year’s Galaxy S line to 32GB and 64GB models, so the timing of this is quite odd. Does this mean we’ll get a Galaxy Note 6 with 256GB of storage? Will they introduce a 256GB S7 later on down the road? Do they have something else planned to use this chip in, like a media player? Again, we don’t know. But damn, that’s a lot of internal storage and whole load of speed. Huawei and Leica Partnership to Create "Reinvention of Smartphone Photography"